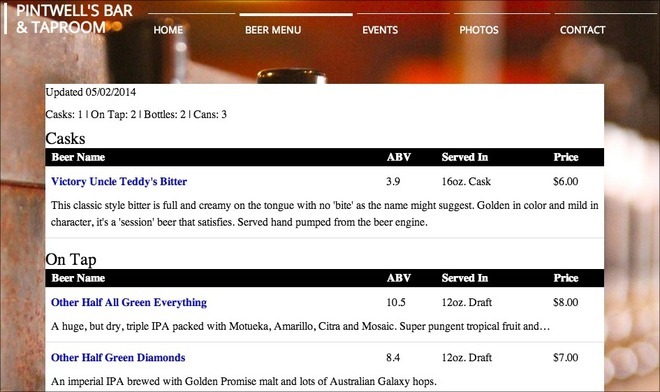 Updating your beer menu on your own website is one extra step that you'll inevitably forget to do at some point when things get busy. 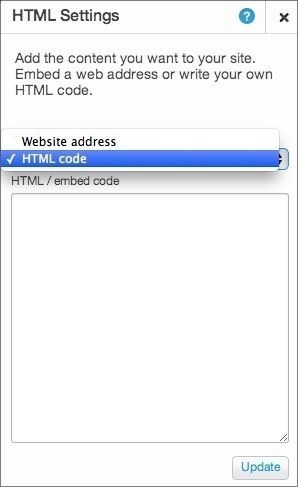 When this happens you'll have customers coming in expecting beers they saw on your website that you no longer have. 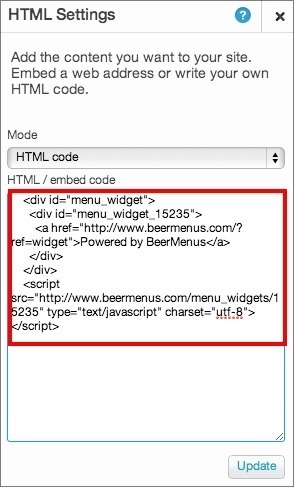 Avoid this disappointment and eliminate the step of updating the beer section of your own website by syncing your BeerMenus page with your Wix website. Scroll down and copy the snippet of code (example below). 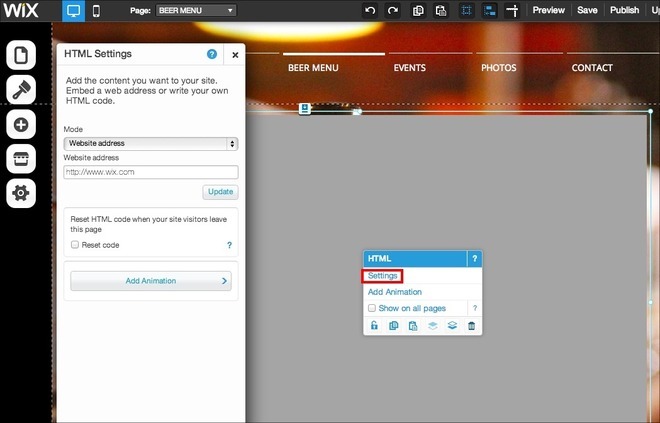 Go to the page on your Wix site where you'd like to display your beer menu, and click the + symbol on the left side. In the overlay, scroll down and select the "Apps" icon. A grey box will appear on the page. 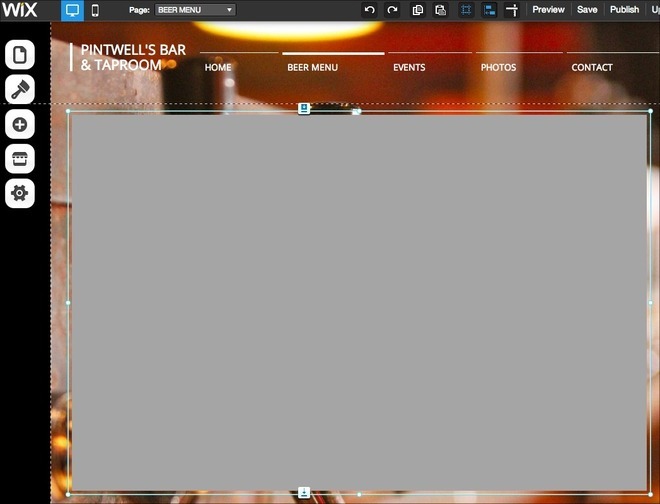 Resize this box (drag and drop) to the size you want your beer menu. 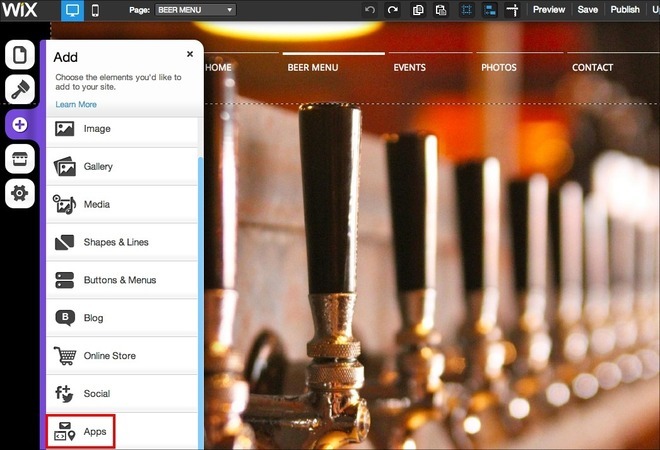 Now your beer menu will show up on your Wix site synced up with your BeerMenus page and you will never have to update the beer section of your Wix site again. Note: Make sure you click 'Save' at the top right before navigating away from your Wix website or you will lose all updates. Having trouble setting this up? Want help customizing the design? We'd be happy to set this up for you and customize the design at no additional cost. 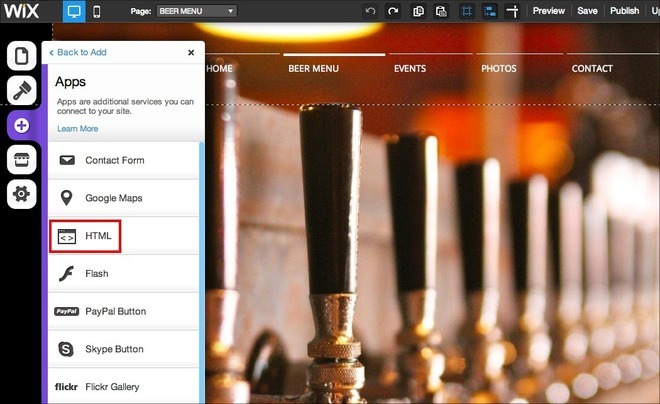 Email support@beermenus.com and we will set this up for you right away.